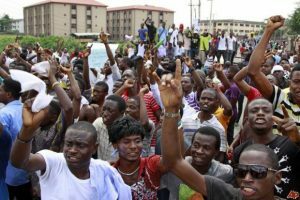 The National Association of Nigerian Students, NANS on Tuesday issued the federal government a 21-day ultimatum to resolve the Academic Staff Union of Universities, ASUU strike to enable the students return to school. A statement issued by the National President of NANS, Chinonso Obasi on Tuesday called on government and ASUU to have “constructive engagement” to resolve the lingering issues that led to the declaration of the strike. Obasi said incessant and prolonged strike was one of the factors responsible for the falling standard of education in Nigeria. Obasi said NANS had called on the Nigerian Senate to convene an emergency meeting to deliberate on the strike and other issues of critical national importance.